Founded in 1903, now with 120 members, a 7-rink green, car park, fully stocked bar, qualified coaches, regular social events - what are you waiting for? Buddy scheme for new members - free coaching - bowls available to borrow - you only need a pair of flat shoes and an enthusiastic attitude! We've met with success at both County and National level over the years, and many of our players regularly represent Sussex at all levels. 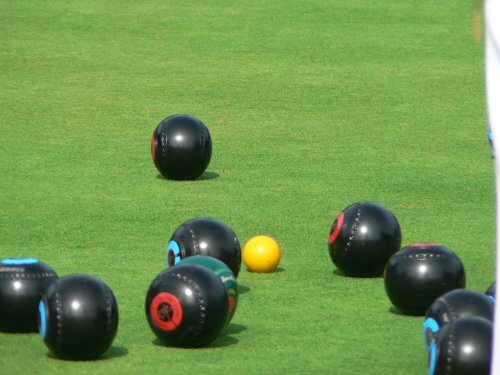 Lindfield Bowling Club was founded in 1903, and is divided into independent Men's and Ladies' sections, each with their own officers and playing schedules, although both sections do come together to play a large number of mixed matches every season. 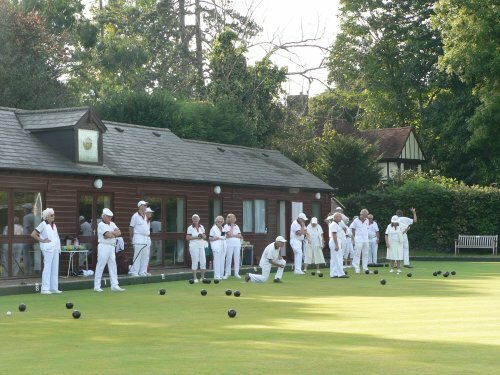 We are one of the strongest bowls clubs in Sussex, boasting a playing membership of over 100 bowlers plus 20 juniors, and we have a very active social calendar, with regular quizzes, barbecues, fun bowls events and other special events arranged throughout the year. We are affiliated to Sussex County Bowls, and also to Bowls England. We participate in five leagues: The Surrey / Sussex Border League (Men), the Mid-Sussex League (mixed), the John Spriggs League (mixed), the Nicholas Soames League (mixed Australian pairs) and the Nellie Mercer League (Ladies). We have a busy bowling calendar with over 70 friendly matches against other clubs, "turn up and try" days for new bowlers, and various representative trophy events throughout the summer. As a club we offer excellent facilities, with a fully-stocked bar, three changing rooms, a Council-maintained seven-rink bowling green, ample parking, a Bowls England-approved coaching scheme, video coaching days, regular email newsletters, a "buddy" scheme for new members, and an active recruitment committee. 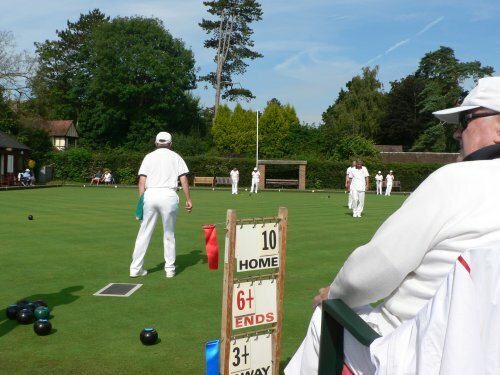 At county level we host the quarter and semi-finals of the Men's Fours, and our week-long Jubilee Triples "open" tournament attracts visiting teams from about 30 local clubs.